G.A. 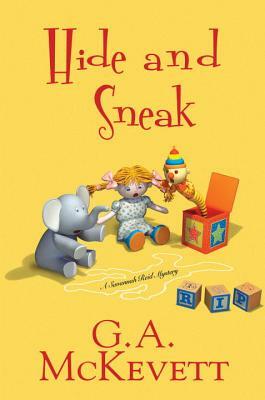 McKevett is the author of the acclaimed Savannah Reid mystery series. Also writing under the name Sonja Massie, she has authored over 60 books ranging from cozy mysteries, to historical romances, to nonfiction works on the history of Ireland. Her earthy humor and fast-paced plots delight her fans, while critics applaud her offbeat characterizations and incisive observations on human nature. Irish by ancestry, she has lived in Toronto, Ireland, and Los Angeles, but now resides in New York. Readers can visit her online at www.SonjaMassie.com.